Height-based Seats: Also known as ‘i-Size’ seats. If the child is under 15 months old, the child seat must be rear-facing. Once the child reaches 15 months old they can then be placed into a forward-facing car seat. It is the driver’s responsibility to ensure that the seat is suitable for the height of the child. It should be noted that only EU-approved height-based child seats can be used in the UK, these can be identified by a capital ‘E’ in a circle and ‘R129’ on the label. Again, only EU-approved weight-based car seats can be used in the UK, these are identified by looking for a ‘E’ in a circle and ‘ECE R44’ on the label. The child car seat must be fitted using ISOFIX anchor points or you must ensure that the car seat is specifically designed for use with a lap seat belt. Failing this, the child’s car seat must only be used in the car’s seat belt has a diagonal strap. In addition to the above never fit a child car seat to side-facing seats and any front airbags should be deactivated before fitting any rear-facing baby seats in the front. 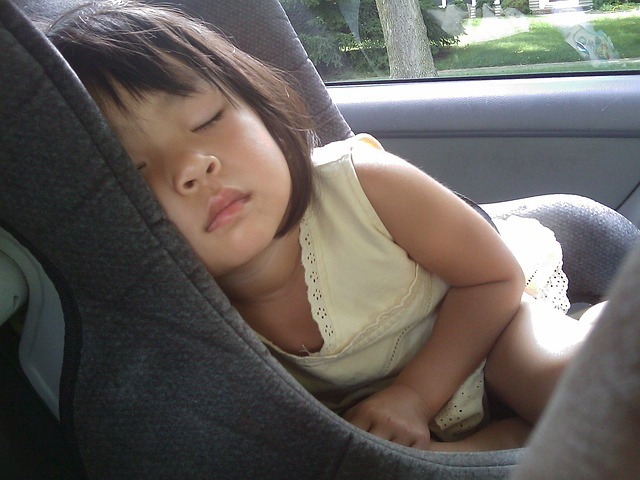 In most other cases, a child under the age of 3 years must always be in a car seat. If you are looking for a short-term lease then Cocoon Vehicles may be able to assist, we offer leasing options from just 28 days with our best deals being based on taking the vehicle for a minimum of 90 days. Cocoon Vehicles also do Fixed car leasing contracts up to a maximum of 12 months. Call the team today to find out more 01332 290173 or complete the form below and we’ll be in touch as soon as possible.